Opinion: What to do with decommissioned oil & gas structures? 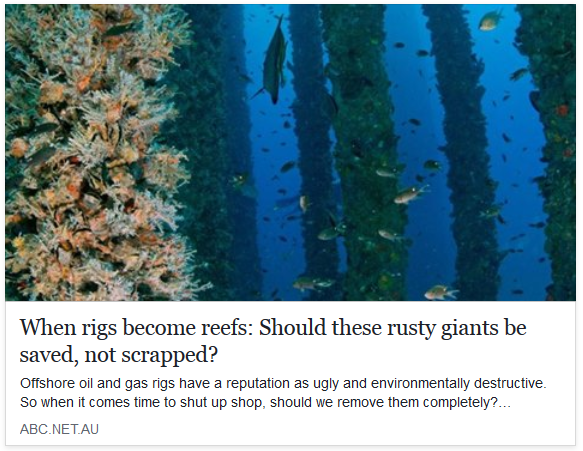 Australia’s offshore oil and gas structures are starting to come to the end of their lifespans — and while the default is currently to completely remove them from the ocean, some experts believe they should remain where they are. BCL scientist Peter Macreadie highlights “many of these structures become reefs and important habitats for marine organisms”. But, warns more research is required to fully understand their impact on marine environments and modernise decommissioning regulations.